We strive to make CU’s workforce stronger, healthier and more secure. That’s why we offer a comprehensive benefits package to support your health, wellness and retirement goals. Learn more about our benefits. Learn about each of our campuses and browse the latest job openings. 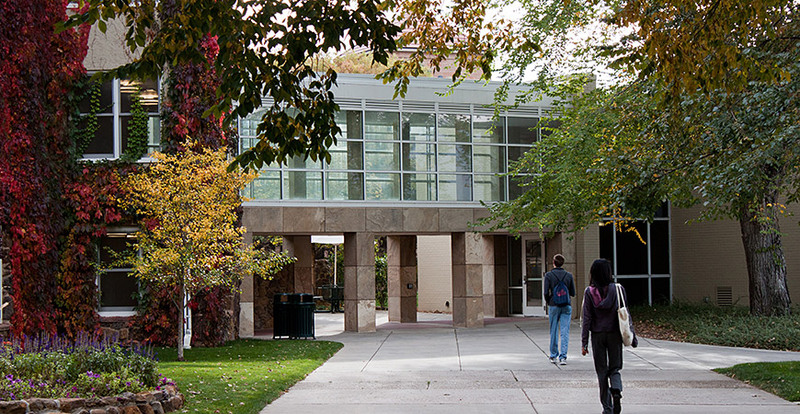 UCCS is one of the fastest growing U.S. universities. In the shadow of Pikes Peak in Colorado Springs, UCCS is home to nearly 11,000 students and more than 1,000 employees. Annually, UCCS students, faculty and staff generate $30 million in state and local taxes, demonstrating the economic importance of all CU campuses. To date, UCCS offers 37 bachelor’s degrees, 19 masters and 5 doctoral programs. It is ranked 10th among Western regional public universities and 5th nationally for public undergraduate engineering. It is also a top ranked military friendly university. 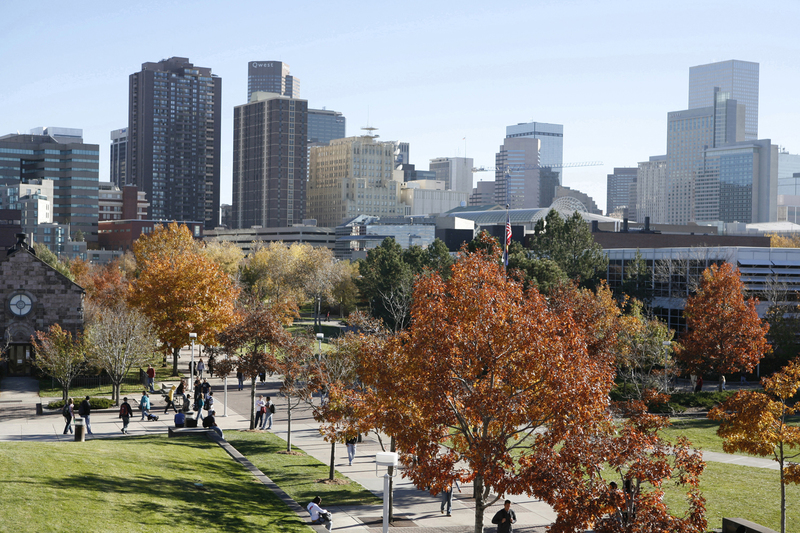 Educating more than 14,000 students on our comprehensive campus in downtown Denver, the campus is a major force in the Denver community. With projects such as Boots to Suits supporting veterans transitioning to new careers, and the Learning Landscapes program that helped transform all 97 Denver Public Schools elementary school playgrounds, the community impact is unprecedented. 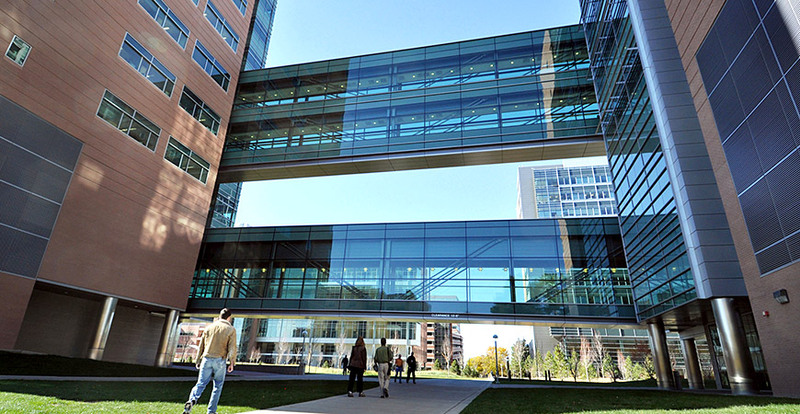 A state-of-the-art medical center, CU Anschutz Medical Campus is globally recognized for its research, teaching and clinical programs in medicine, dentistry, pharmacy, public health, physical therapy and nursing. As the largest academic health care center in the Rocky Mountain region, CU Anschutz is leading the way in education, research and patient care. In total, there are 19,000 employees on the medical campus and 1.5 million patient visits annually. The impact in the region is large, with more than $2.6 billion in total campus direct expenditures. Not only does CU Anschutz have a large economic impact, but students and faculty are constantly innovating. Since 2002, 1,300 patent applications have been filed and 53 new companies formed from campus research. 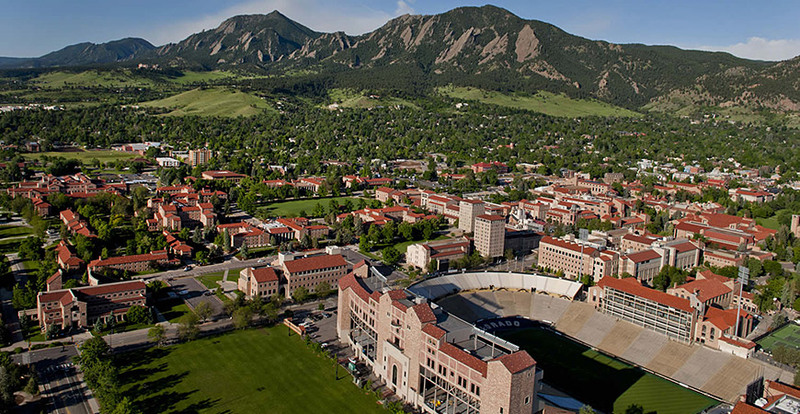 University of Colorado's System Administration consists of 21 units that serve the entire CU system. Led by CU President Bruce Benson, these units provide critical support services to CU’s campuses in Aurora, Boulder, Colorado Springs and Denver. This includes everything from Academic Affairs and Employee Services to CU's legal team to University Advancement. Nearly 600 CU employees are based in the System Office. Learn how CU Denver plans to inspire and develop a new generation of engineering students. Scot Chadwick, executive director of the CU Denver Office of Digital Education, will lead the college. CU Denver's Center of Preservation Research was given $37,000 grant to help restore Camp Amache. A new building in downtown Colorado Springs integrates UCCS with the city and community. In the second record-breaking year in a row, CU received more than $1 billion in research funding. The biosciences facility opened in 2000, has about 70 companies with 750 employees and $800 million in grants. CU Anschutz announced a $120 million gift that will help them recruit more physicians and scientists. The National Institute for Nursing Research (NINR) awarded CU Anschutz $8 million towards expanding research. This $42 million complex is dedicated to the well-being of students as a downtown sanctuary. The new recreation facility includes a swimming pool, climbing wall, workout areas and more. 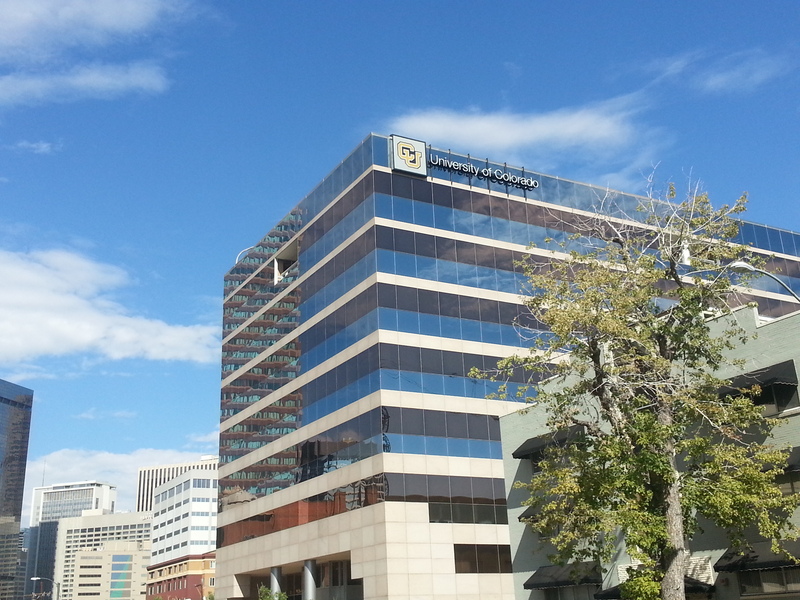 UCCS Downtown will launch Sept. 1 in the heart of Colorado Springs. CU System ranks No.52 in the world among universities granted 2017 utility patents. David Wagner and his team at CU School of medicine have developed a drug to help with Type 1 diabetes. Gia Voeltz, a CU Boulder professor, was granted $8 million towards cell structure research. UCHealth has been identified as one of the five top-performing health systems in the U.S.
See what our faculty and staff have to say about working for CU. Don Backos’ work helps improve research and can open up new possibilities. Billy Mertens enjoys the brilliant, inclusive Economics faculty and pushing students to be their best. Vanessa Roman is proud to help students make big decisions at a critical time in their lives. Her season basketball tickets are pretty nice, too.